Almost any kind of raw biomass can be turned into biofuel, but it’s not always cheap–transporting raw biomass to a processing facility is significantly more expensive than transporting liquid fuel derived from that biomass. So while it sounds great in theory to turn wood chips from some remote Midwestern farm into biofuel, it doesn’t make much sense if the farm is far away from a processing plant. Enter Purdue University’s mobile biofuel processing technology, which can turn nearly any available biomass (wood chips, switch grass, corn stover, rice husks, wheat straw, etc.) into biofuel on the spot. 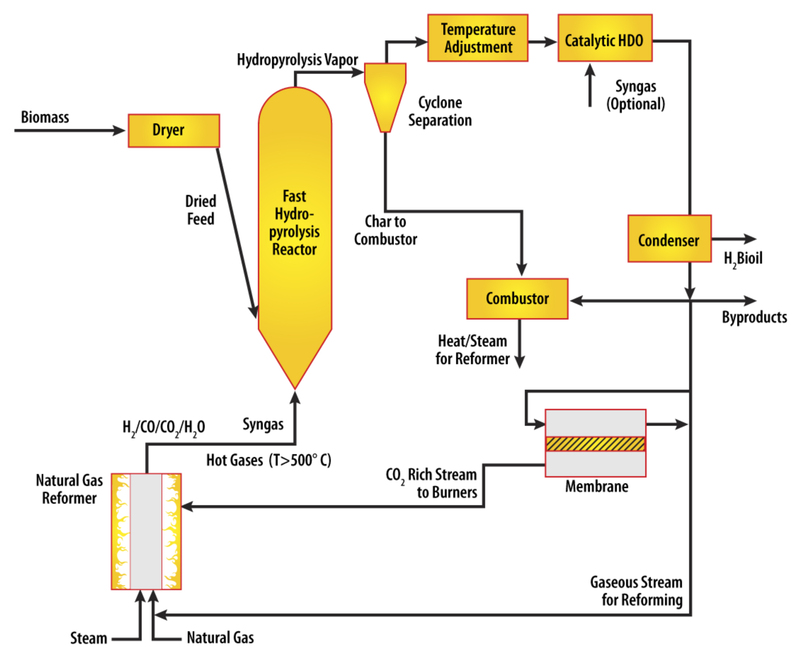 hydrogen is derived from biomass. might be higher but natural gas and biomass to supply hydrogen….might be economically competitive. This doesn’t mean that the electric vehicle industry should start worrying. Purdue’s process has yet to be tested in a real-life setting. But if it works, it could quickly silence any arguments about the cost of transforming non-food based biomass into quality biofuel.